As mentioned in the last post, I attended a great event hosted by Superdrug on Thursday with Numera, where we got to see some great new releases over the coming weeks. I was welcomed with lovely service from the staff at Haymarket Hotel and after signing in took a quick sweep of the room to see what caught my eye. 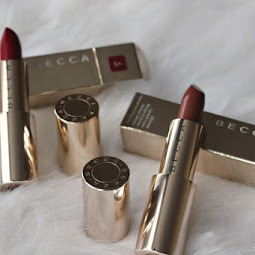 There were many great brands there, some that I am familiar with: Sleek, Solait, Andrea Fulerton, MUA, FashionistA; and some completely new: Arora, Faux, Glam Republic and Simply Pure. As I walked around the room, a nice lady approached me (can't remember her name unfortunately!) from Superdrug's own suncare brand Solait. We got chatting about SPF and also about my terrible reaction to Banana Boat's tanning oil last year and I was pleased to find they did tan-stimulating products with SPF too.. something I may have to give a try (and hopefully not react to). I did get a Moisturising Lotion Spray Mist in SPF 15 in the goodie bag so will defo be trying that out when the sun pops out again. I then had a look at some of the MUA Love Hearts range which I've seen so much about and totally love the concept. The full range of polishes and lip balms should already be available this February all at a steal of a price - £2 each! Whilst we were looking at these, the company director Ana from We Are Faux lashes introduced us to her brand and we had a little chitchat about the brands handmade lashes inspired by music, fashion and art. The ones she wore were ever so nice and fluttery and she offered us a pair each, choosing Roux Sixteen for me. We found a great new bath & body brand Superdrug will be launching around April next; Arora. With its tantalising display of ingredients mimicking the fragrances, we were talked through the range Arora offer; body scrubs and butters, bath shimmers and shower nectars. I had a whiff of them all and have to say that my personal favourites had to be Sweet Vanilla and Coconut Crème. I reckon I would have liked the Chocolate Espresso too (the bath shimmer looked lush!) had it not have had the honey smell.. I'm not too keen on honey smells as you may know! These bath products are priced at only £3.99 each, making them an affordable luxurious looking brand without the price tag. Finishing Touches (Superdrug's OB nail art range) caught my eye next to the Arora stand as I've been trying to play around with my nails a bit of late. They had everything from my personal favourites of the minute - nail wraps/foils to stencils, glitter and more. Next Numera and I decided to get our nails done by the Andrea Fulerton girls, so whilst I waited I went over to the Glam Republic stand where I saw the lovely Kaushal of BeautyFulfilled. Glitter liner has never looked so easy! I have to say that I love the fact that they're so easy to use.. self adhesive so no messing around with glue, or having to have a steady hand which is something I get asked a lot about eyeliner/eyeliner techniques. The colours from the range include: Jade (a minty green), Carrie (pink), Debbie (coral), Emma (Lilac) and Eugenie (blue), all of which are above and will be priced at £4.99 each. Last but not least I passed the Sleek stand on the way out, which looked exactly like the stands in the Superdrug stores, showcasing the new Blush By 3 blush compacts (£9.99) as well as the even newer Face Form compacts comprising of contours and a blush. L- Medium, R- Light Face Forms. These should be priced around the same price as the Blush By 3's (or less), so I can't wait to buy them once released! So there you have it, I chose specific brands that interested me in this post but there were a couple of others there too like the new Elemis Fresh Skin (an offshoot of Elemis but aimed at younger skin), FashionistA (the custom design palettes that I'm dying to yet see fully! ), Accessorize and Superdrug OB Simply Pure range. Accessorize eyebrow pencil that seems pretty good! All in all it was a great event, maintained by the lovely Haymarket staff who kept us fuelled whizzing around with drinks, mini burgers, fish and chips cones and more. 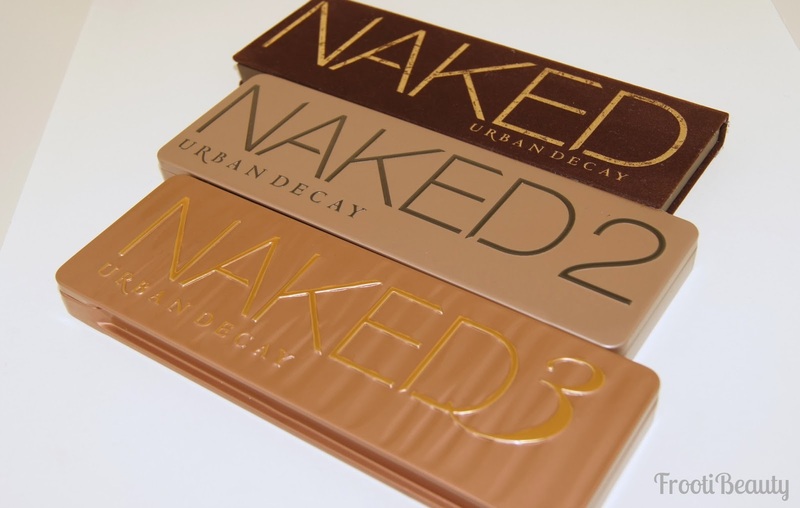 FFF: Naked 2 makeup look with ombre lips! I've had this makeup look lying around on my computer since I first got the Naked 2 palette and all the new Spring collection (hence the heavy use of UD products!) so I thought it was about time to post it. It's a very very basic and neutral look, the emphasis is on the lips for this one (I blurred the rest of my face) so I hope you like! After applying the Supernova foundation all over the face and priming the eyes with UDPP, I started the eyeshadow by applying Foxy to the brow bone and Bootycall to the inner corner of the eyes. Chopper was added to the middle and end of the eyelids. Tease was used for the crease/outer V and blended slightly upwards and into the Foxy on the brow bone. Demolition eyeliner (matte brown) was used on the bottom lashline, fairly thick, whilst Perversion (blackest black) was used for the topliner (and to line the inner eyes). After filling the brows with the brow box and a little Blackout from the Naked 2 palette, I finished the eyes with the Lush Lash mascara and concealer, whilst also cleaning up any round edges on the outer corner of the eyes with a cotton bud. For the rest of the face I used Toasted bronzer on the cheeks and T-zone; the lips however were fairly trickier to do, so if you decide to do this look, it's something I wouldn't recommend for wearing whilst eating.. or going out for that matter! To start off, I applied Apocalypse to the top lip and Lovechild to the bottom lip. Very gently, I patted the lips together (as you do on tissue!) but only the inside of the lips.. you dont want to just mix Apocalypse and Lovechild and create a new colour, you want a graduation of dark to light! So as you can see, the emphasis is mainly on the lips this time, not so much on the eyes.. I got the idea from a magazine and personally love anything ombre-d; hair, nails, lips, you name it! What do you think of this look? Not very practical I know, but I love it all the same! I managed to make it to the Bourjois pop up shop (or Boutique) on it's last day yesterday and thought I'd share my experience with you. The event was held at the Beach Blanket Babylon restaurant in Shoreditch (which has such pretty décor by the way!). 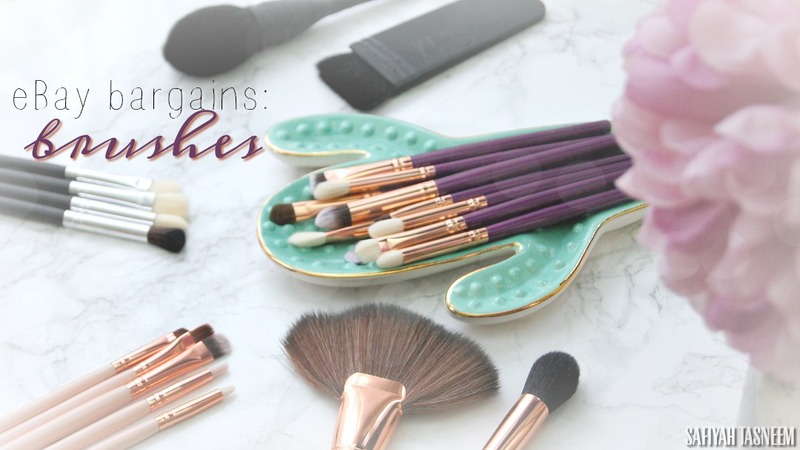 At first I wasn't that interested as Bourjois is a drugstore brand that I haven't used since college (Delice De Poudre Bronzer smelled so yum back then, I was addicted! 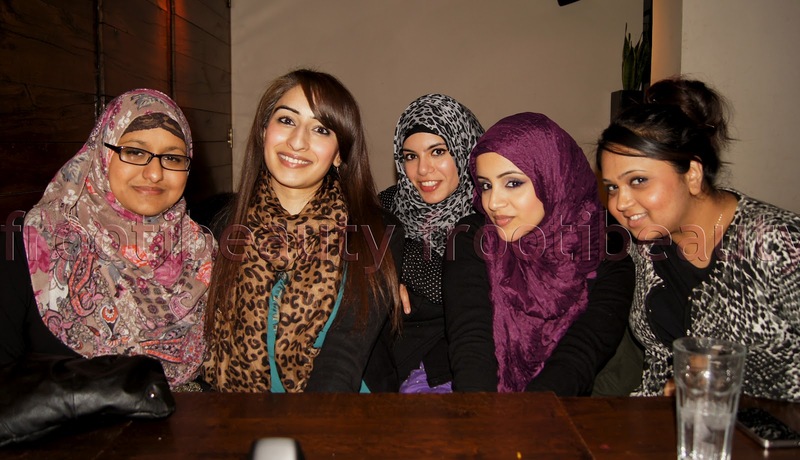 ), but as some of the other blogger friends planned on going I thought it'd be a nice girly day. I reached the destination and as aforementioned it was very pretty indeed. The Bourjois Boutique was very pink and girly with glass jars of glitter, coloured powder and cosmetics, making it feel like a sweet shop.. a very girly one! I loved the whole idea, as you may know by now I'm a very girly girl! Cute & colourful pick-up area! An eyeshadow display - swatches galore! Unfortunately I missed out on the "first 50 goodie bags" so I went on to swatch products and have a nose around. There were various activities going on whilst I did so; makeovers, manicures, body art and a corner with the T4 filming crew setting up. Despite being drawn to the colourful eyeshadow display, I found they weren't as pigmented or smooth as I'd like so I skipped them, but found a lovely dusky rose lipstick that caught my eye (I've been attracted to this kind of colour a lot lately for the lips!). It was number 81 (Rose Folk) and the most pigmented pink there. I mentally noted it down but then found a nice felt tip liner (I'm a fan of felt tips rather than thin brushes) and decided to start writing down items I liked on the little shopping cards. I then saw a body painter at work and wondered aloud to Numera if she was doing it on people other than models to which she turned around and offered to do my hand as I wanted.. yay! Using the Bourjois eyeshadows wet! The lady used the felt tip liner (Liner Feutre) that I was going to get and filled in with Bourjois shadows using a wet brush.. It looked very pretty and water-colour-like and was a great way to use the shadows. I then thought I'd have a look and see if I liked anything else as it would work out more bargainous to buy more and I found a double ended pencil liner (khol and contour shadow and light) in various colours, so I chose the brown and golden one. 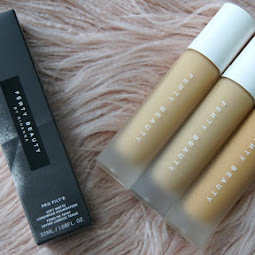 I ummed and ahhed over the foundations; I'm not usually a drugstore brand kind of girl for foundations (no I'm not a snob!). It's just that I've worked in department stores and the higher end brands have been more accessible to me and also I find drugstore brands' to be more peach toned and therefore geared towards more "white" skin tone than my own very yellow one. Also, drugstore brands rely on trying foundations yourselves whilst standing and snobby or not, I prefer to sit down and have a consultation.. that's just me! 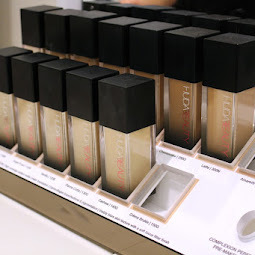 I'm not usually an everyday foundation wearer, however if I'm going out for occasions or basically anywhere that photos will bound to end up somewhere online, I may whip out a bit (usually as natural as possible i.e. Bare Minerals). This "Healthy Mix" did sound somewhat promising though, so I thought I'd give it a go. Taking my list up to the front "pickup" area, a lady filled my bag with the products that where then paid for. If I wasn't on a spending budget I would have at least bought two items from this rack, the brand was "Never Fully Dressed" and they had a great t-shirt and maxi dress that I loved! And after having a bite of a vanilla macaron (literally!) I spotted a very familiar looking stunning lady past the neon T4 sign. It was T4's Jameela Jamil, who I've always thought is absolutely gorgeous and really is in real life. 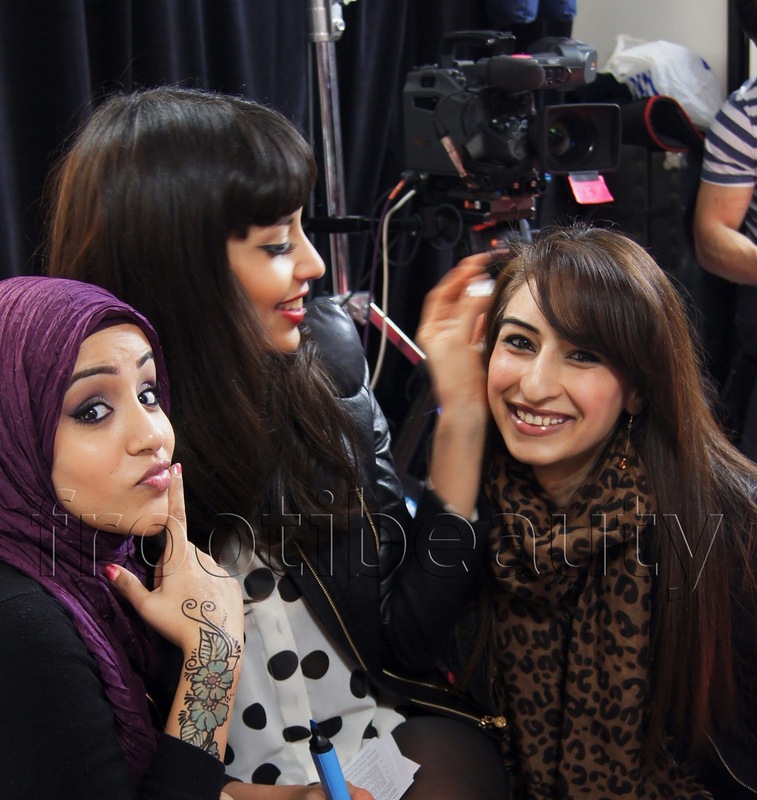 Me posing with my tattoo and Jameela clearly in love with Numera's hair haha! 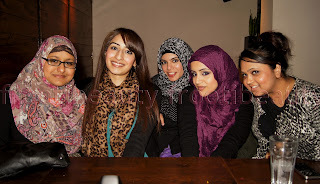 After this, we decided to go Nando's to eat and have a look at purchases and goodie bags. Do click the names for their blogs, they're great girls! All in all, I actually enjoyed the Bourjois event and certainly meeting up with the girls so I look forward to the next meetup! I've been meaning to do a Nicki Minaj look for a long time now, but when a request for one came recently, I couldn't put it off any longer! Nicki Minaj is definitely an icon, love her or hate her! I love how she's not afraid of colour too and for those that know me, you'll know I adore colour! For this look, I did choose something fairly pretty and not so zany, but next time I may go for a bit of a crazier look. So this is the inspirational picture I chose.. I just love turquoise/teal and thought the perfect palette for this would be the UD anniversary palette.. Deep End is the most gorgeous turquoise/teal I have and I thought Evidence (navy) would go well too. Conceal under the eyes et Voila! I really should get turquoise hair haha! So there you have it.. It's a lovely colourful look with some of my favourite colours and colour combinations - teal/turquoise and bright pink! Let me know what you think and if there are any more requests please as always, let me know!